The combination of home baked caramelised bacon, flaked almonds and caramel sauce, sounds so wrong but taste so good. Yes, you may think why on earth would I have bacon with my frozen yoghurt? With me I like to try anything at least once, and I’m glad that I did. With many fro yo franchise exploding the scene; it’s difficult to pick the best tasting ones. 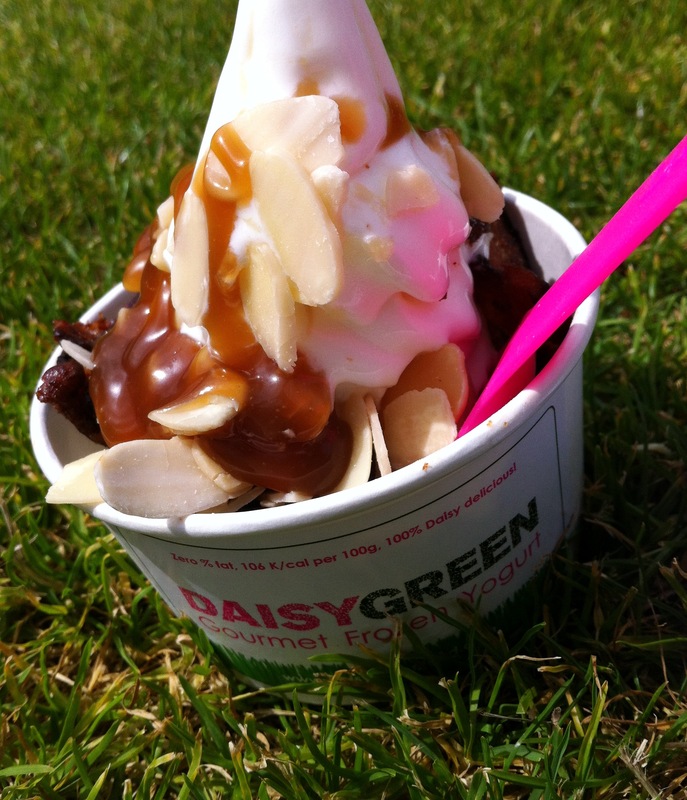 Daisy green and pinkberry have to be my top favourites I’ve tried so far. The froyo from Daisy green is delicious and refreshing, you can tell from the British milk used the taste is unique compared to other frozen yoghurt places out there. FESTIVALS…Little Creatures (London Zoo), Mayor of London Thames Festival, Africa Express (Kings Cross), Ice Cream Festival (Kings Cross).